Thursday will start out damp and dreary, but sunshine should return Friday. Thursday will start out damp and dreary, but don’t worry: Sunshine will return Friday and stay with us through the weekend, according to the National Weather Service. So when you look out your window, just remember: Beautiful weather is just around the corner. 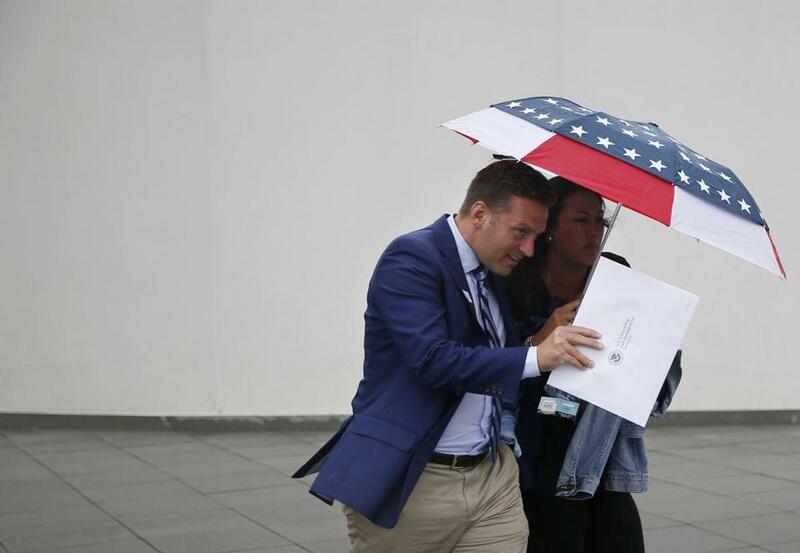 It was raining in the Boston area Thursday morning, and forecasters said the rest of the day should be cloudy with a slight chance of showers and isolated thunderstorms in the afternoon. Temperatures are expected to stay in the lower 70s. “Today will be a transition day between the showery regime we’ve been in for the last several days and the drier days ahead,” forecasters said. Thursday night will be mostly cloudy with patchy fog, and temperatures will drop into the low 60s. Then the skies will finally clear up and give way to sunshine Friday. Friday should be partly sunny and pleasant, with highs in the 70s and light winds — a perfect way to kick off the weekend. Forecasters said the dry air will stick around for a while, and the rest of the weekend is looking great, too: Saturday will be mostly sunny, with highs in the mid-70s, and Sunday will be sunny and warmer, with temperatures potentially reaching the low 80s. This warm and dry weather will continue into Monday, which will be mostly sunny with highs in the lower 80s, forecasters said.